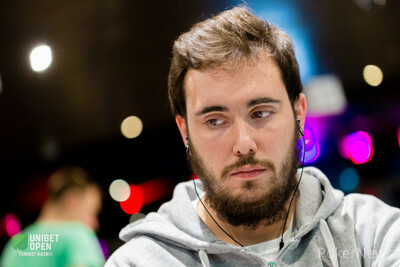 Manuel Bardon open-shoved 605,000 from late position. It was folded to Rauno Tahvonen in the big blind, who snap-called after looking at his cards. The board came down :::8s:::9d:::4c:::Td:::Th. Bardon spiked the eight in the window to score the double-up.